Can a For-Profit Business Ask for Donations? A donation is a gift or a grant given from one entity to another. The term is both an ordinary word and a word with a special meaning in a particular context when used by nonprofit organizations to specify a gift given with the expectation that it is tax-deductible. There is certainly no law against a for-profit business owner asking anybody to provide a gift or grant to the business without the expectation of returning the item. A person can ask a relative to "donate" money to keep a business afloat, or attempt to raise supporting gifts of materials or cash in a variety of ways. Also, some private and public entities provide for-profits with taxable business grants that are, technically, donations. However, the word "donation" does have a common usage as a specialized term. Nonprofits ask for donations to support a cause and have special status with the IRS that makes those donations tax-deductible. A for-profit business that accepts a donation would not be able to provide the same tax-deductible benefit. 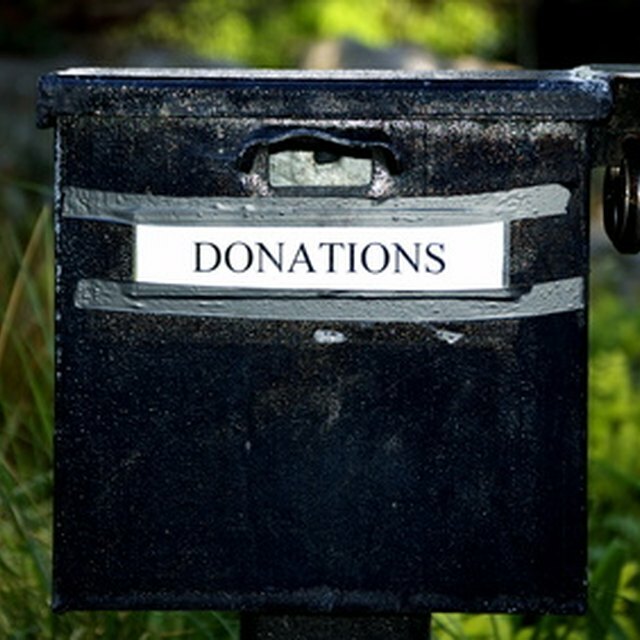 While it is the case that a for-profit business can accept donations, it has to be careful not to run afoul of a state's laws against soliciting the public for donations without registering with the state attorney general. If a for-profit business is asking for "donations," it has to at least make it clear that the business is not a nonprofit.